James Gurley passed away on December 20, 2009, of a heart attack, just two days before his 70th birthday. 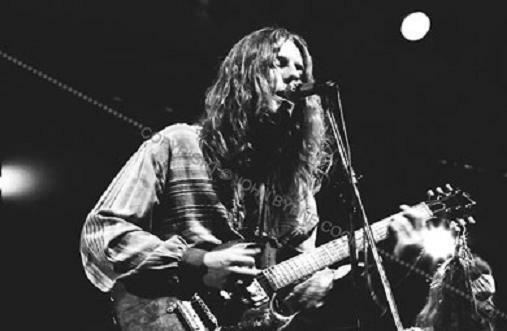 Big Brother and the Holding Company guitarist James Gurley died of a heart attack on Sunday at a Palm Springs, Calif. hospital. 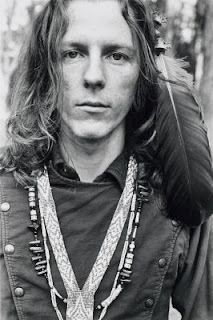 Gurley, 69, was a key creative force in the San Francisco-based psychedelic rock outfit that propelled Janis Joplin to stardom in the late 1960s. On news of his former bandmate's passing, co-founder Sam Andrew wrote on Big Brother's official website, "For me and many people, James was the real 1960s, the real exemplar of that counterculture, the forerunner. 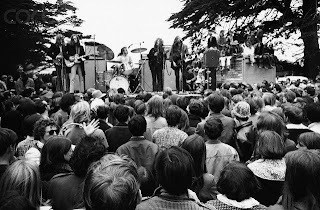 Peter Albin, Chet Helms and I founded Big Brother and the Holding Company, but James was the spirit and the essence of the band in its early days. He showed us the way as a Zen master would show us the way, without sermons, without lectures, with as little talk but as much humor as possible." Born in Detroit, Gurley picked up the guitar when he was 19. Inspired by the blues, he cited Lightnin' Hopkins as one of his early influences. 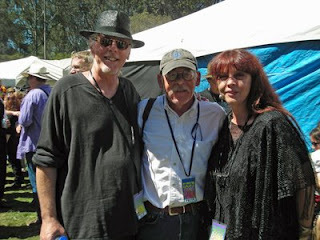 At the age of 23, he moved to San Francisco to become a part of the city's folk scene and by the summer of 1965, he joined forces with Albin and Andrew. 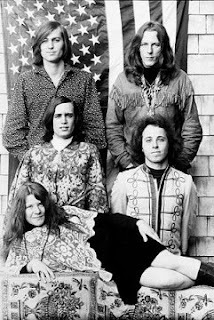 In June of 1966, Joplin joined the group, which emerged from the same Bay Area scene that launched the Grateful Dead, the Jefferson Airplane and the Quicksilver Messenger Service. 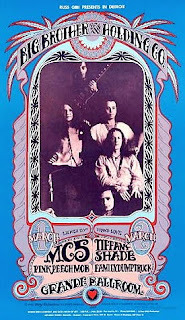 BBHC released its eponymous debut album to acclaim in the summer of 1967 and after its landmark performance at the Monterey Pop Festival, the disc had modest chart success. A year later, the group -- by now signed to Columbia Records -- released the psychedelic rock classic 'Cheap Thrills,' which topped the album chart in October 1968. 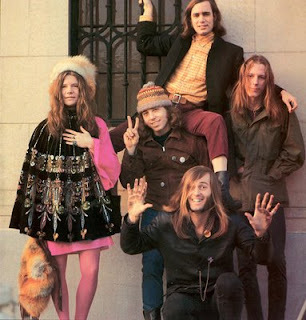 Despite the enormous hit, 'Piece of My Heart,' the band's days were numbered, with Joplin quitting the group for a solo career. While Big Brother reconvened in 1969, Janis proved irreplaceable and after two additional albums they gave up on the band in 1972. James Gurley was born in Detroit, Michigan on December 22, 1939. As a boy he sometimes worked with his father who was a stunt car driver. Occasionally this work entailed performing as a human hood ornament with a helmet as his father sped through a flaming plywood wall. The stunt was popular with crowds but not with James - particularly not the day he knocked out his two front teeth and singed his hair to the point where he had to shave his head completely. At the age of nineteen James took up the guitar and began practicing long hours while listening to old Lightnin' Hopkins records. He never had a guitar lesson, preferring to learn by ear. He spent four years at Detroit's Catholic Brothers of the Holy Cross, studying to be a priest. In 1962, he moved to San Francisco with his wife Nancy and became part of the coffee-house circuit, playing in the folk and country blues tradition. For a time, he played with J.P. Pickens and the Progressive Bluegrass Boys. 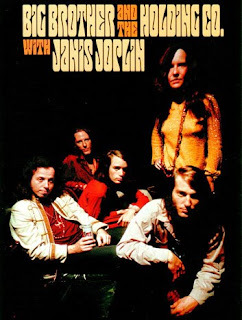 In the summer of 1965, Chet Helms brought James to 1090 Page Street to meet Peter Albin and Sam Andrew of Big Brother and the Holding Company, and shortly thereafter, he joined the band. A few weeks after Janis Joplin joined the band, James began having an affair with her. Once James and Janis became involved, he moved out of the apartment he shared with his wife and moved in with Janis. According to Janis, that arrangement ended the day Nancy came barging through the front door of Janis's apartment. "What an embarrassing situation," Janis told Jim Langdon later. "His old lady comes marching into my bedroom with the kid and the dog and confronts us." James continued his affair with Janis for a while, but eventually returned to Nancy, who forgave both him and Janis, with whom she had a close friendship. In 1966, the members of Big Brother, along with their wives and children, all moved into a single house in Lagunitas, California.